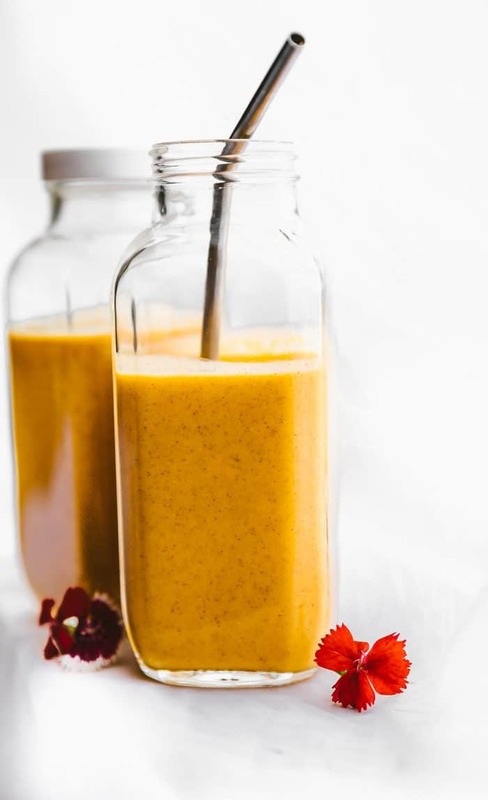 These Orange Probiotic Immunity Boosting Smoothies are perfect for breakfast on the go. A vegetable and fruit based yogurt smoothie rich in vitamin C, Vitamin A, fiber, and Calcium. No sugars added. And here we go again! I think these immunity boosting smoothies are number 4 of the come on “gut healthy” recipe series, right? I lost track after so many cultured salads and bowls! Anyways, we have 2 more to go, which includes this recipe! These next two gut health recipes will be smoothie based. You’ll see what I mean. Ohh you are gonna LOVE IT! Or just act excited about all the gut health focus me, ok? Thanks.! So, a little history about these probiotic rich smoothies. I used to make the them ALL the time when we traveled for my husband’s races. Not actually while traveling, but before and after. I consider it a little pre travel gut boost and post travel reboot or gut tune up. Makes perfect sense, right? Traveling definitely puts me out of whack. I know, I know, you’re used to seeing all the greens, mega reds, and superfood supplement powders added to a reboot smoothie. But I think we have forgotten the power of ORANGE! Yes, orange as in fresh oranges, carrots, ginger, oh my! 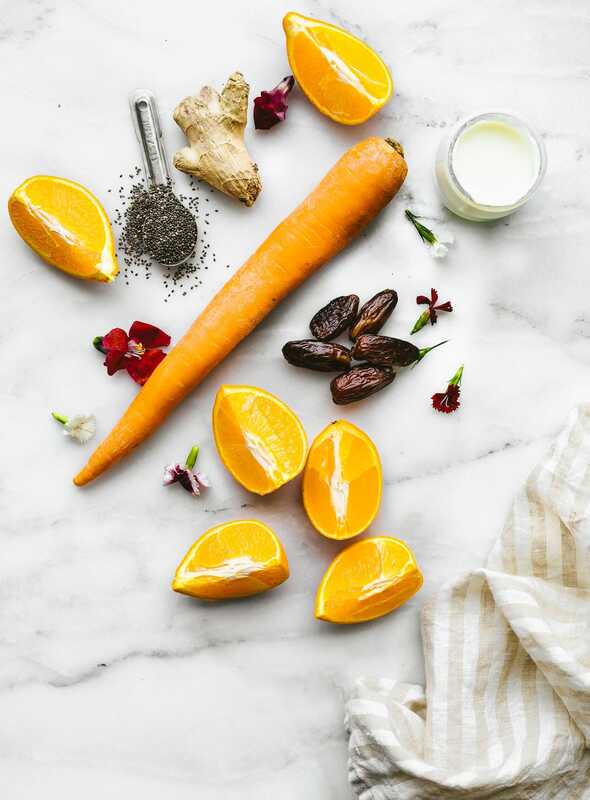 All these orange ingredients contribute to a healthy gut flora. I’ll get to that in a minute. The other KEY factor in making a probiotic smoothie, is of course the probiotic rich kefir yogurt. Kefir yogurt from either grass fed organic dairy or even non dairy (vegan friendly). This vegan kefir yogurt brand just might be my new favorite. But I digress. You see, kefir yogurt is made from kefir “grains” per se. These are not really grains actuality bacteria and yeasts that combine with the milk (dairy or non dairy) to make a lightly fermented drink or yogurt drink, kinda like kvass and kombucha. It can be made from any source of milk, such as goat, sheep, cow, rice, cashew, or coconut. It can even be made using coconut water. These kefir grains contain a beneficial symbiotic mixture of lactic acid bacteria and yeasts in a polysaccharide–protein matrix. I know, super nerdy and sciencey. 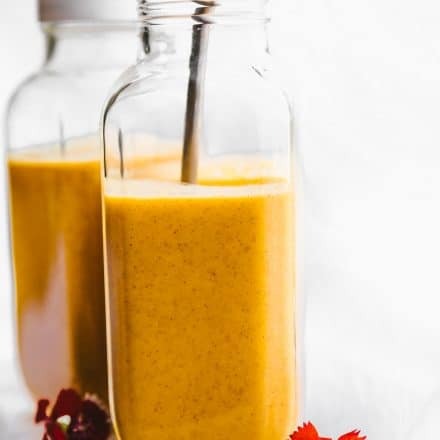 But to put it briefly, this bacteria protein blend is loaded with Vitamin, minerals, and can help increase bone density, boost immunity, and improve digestion. Heck, studies have now shown that even lactose intolerant folks can handle kefir. YAY! (source). Okay so back the smoothie ingredients. The kefir yogurt, in combination with superfoods below, make for one POWER PROBIOTIC RICH SMOOTHIE recipe. Let’s dive deeper into the other ingredients, shall we? Fresh Orange – Hello Vitamin C!! Carrots – Our favorite Vitamin A rich vegetable. And did you know Vitamin A is also essential for supporting the lining of the digestive tract? Yep, we want to keep that gut lining working strong! It is the for blocking barrier for food-borne pathogens and the rest of your body. Dates – Rich in potassium and Fiber. 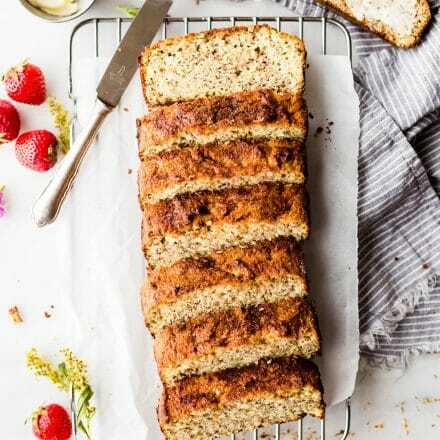 Chia seed- Rich in omega 3’s, plant protein, and fiber. Coconut oil (optional) but helps you absorb fat soluble vitamins. Kefir Yogurt – as mentioned in detail above. 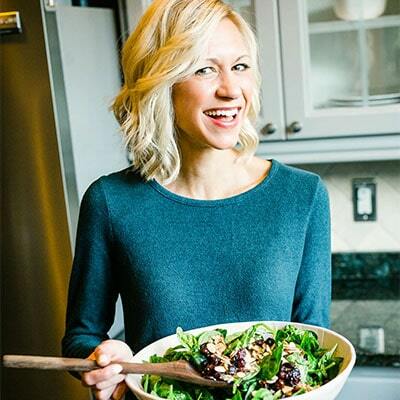 Healthy Notes to Keep in Mind –> As much as I love getting probiotics from real food, we can’t always get as much as we need. For example, if I were sick and needing to take an antibiotic, then my gut flora would become depleted because we are wiping out all the bacteria, even the good! Eating more probiotic foods as well as taking a probiotic supplement can help rebuild that gut flora in a more efficient way. The two can work together to rebuild that gut flora. I think you’ll like the Immunity Boosting smoothies video that explains more. 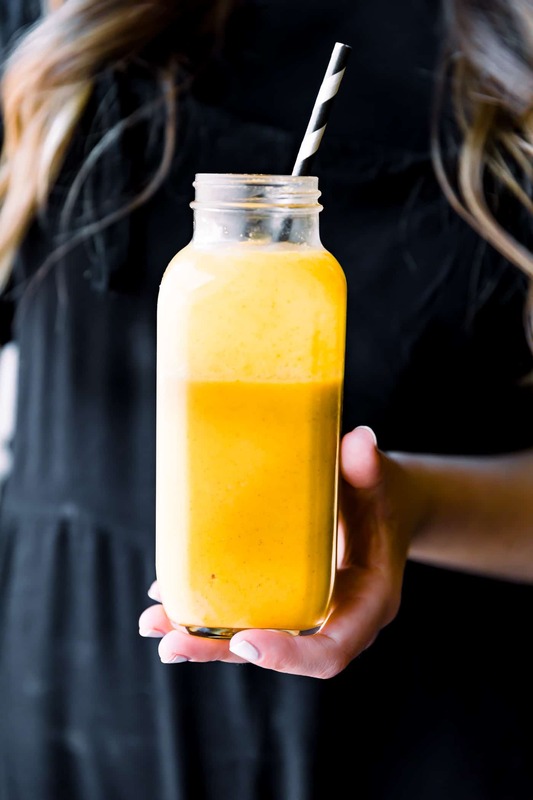 This Immunity Boosting Smoothie Video is in partnership with Culturelle Women’s Healthy Balance. Love love love! Gut health love. 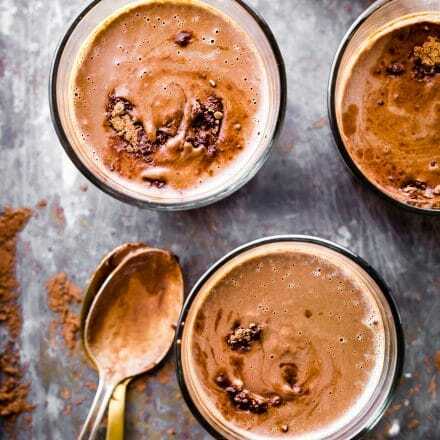 A smoothie that can power you throughout the day, can help get things moving (you know what I’m getting at here), and can boost your immune system. Oh and it tastes heavenly, really. I may be bias, but you can trust me on this! 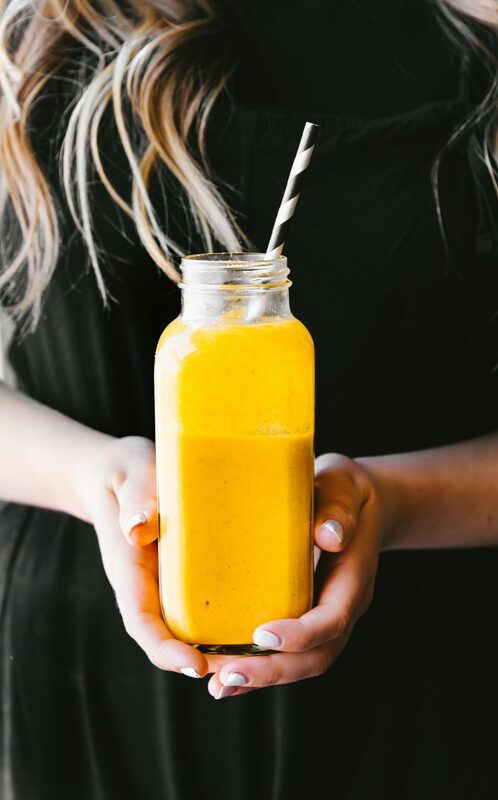 Orange Probiotic Immunity Boosting Smoothies are perfect for breakfast on the go. A vegetable and fruit based yogurt smoothie rich in vitamin C, Vitamin A, fiber, and Calcium. No sugars added. 1 tsp chia seed (more if you are making smoothie bowls). 6–8 ounces plain Kefir yogurt or cultured plain yogurt. See notes for vegan option. 2 cups (2 small bowls, or 1 large bowl). Peel your carrot and oranges. Place carrots, orange, and juice in a blender. Blend under a thick juice if formed. Next add your chia seeds, yogurt, spices, ginger, and coconut oil. 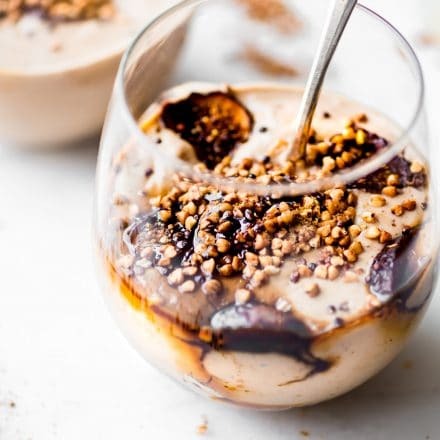 To make smoothie bowls, add an addition 1 tsp chia seed and let the blended smoothie mix sit over night, (or at least for a few hours) in the fridge. The chia see will help it thicken. 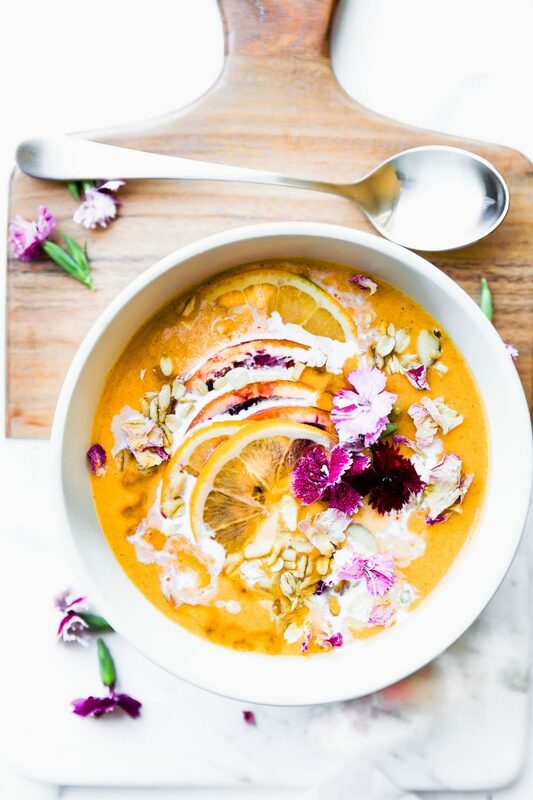 Pour into bowls and garnish with orange slices, cinnamon, gluten free oats, and optional honey. This makes for a great make ahead breakfast or breakfast smoothie bowl. 2 small servings or 1 large. 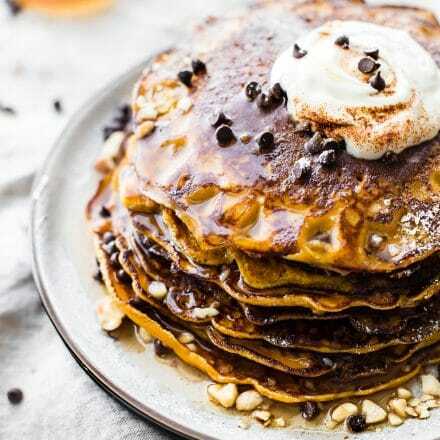 Adjust sweetness, desired, by adding optional honey or maple syrup. Mix into smoothies before serving. For vegan option, use coconut milk yogurt or Forager cashew kefir yogurt. 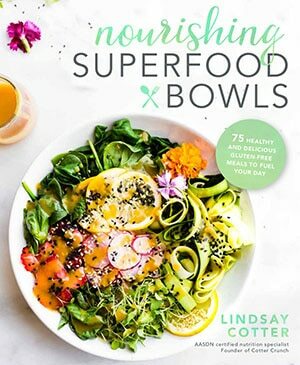 And if you’re feeling fancy, you can make these smoothies into smoothie bowls! Here’s how! 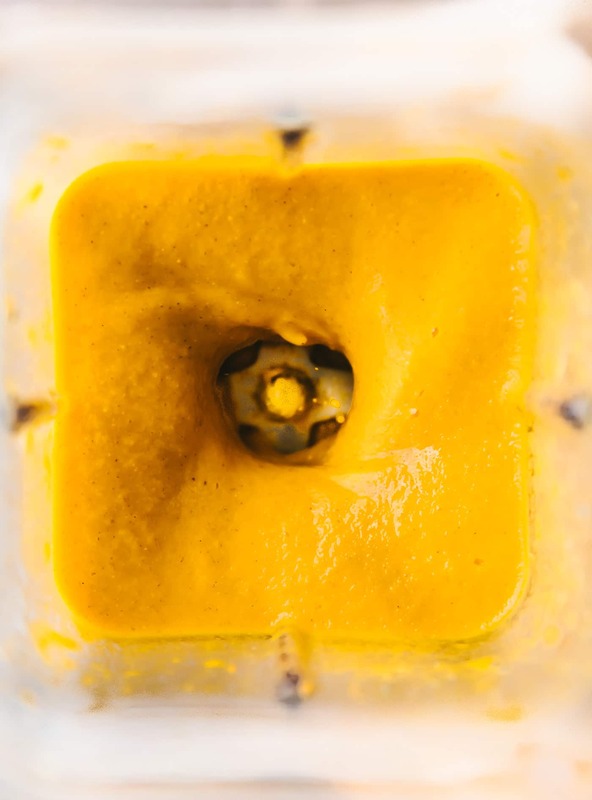 Place the smoothie in the fridge overnight and it will thicken in the morning. All because the magic of chia seed! Half smoothie, half blended chia pudding. Pour into bowls, top with extra orange or blood orange slices, gluten free muesli, and a little kefir yogurt to drizzle. Spoon up. YUM! I know, the flowers are a little over the top, but hey, totally worth it when you can then share it on Instagram, right? Ha, first world goals! Alright friends, tell me one food that has helped you feel better lately? Are you adding probiotic rich foods to your Diet? Ahem… that’s your cue right there. Probiotics have truly helped heal my gut and better absorb nutrients. God knows I need those extra nutrients right now. Ah, more on that in another Behind the Scenes Real Life post! Sounds magical! I can’t wait to try it! YES I am trying to add more probiotics. Happy tummy = happy life. You’re too good to me. <3 Miss ya! Sounds absolutely delicious! Such good health benefits, too! Definitely having this for breakfast tomorrow! SO much flavor in this smoothie, love it! I’m slightly obsessed with carrots…why don’t I add them to smoothies more?! Such a great idea; can’t wait to try! Wow- not only is that smoothie beautiful, but it has everything needed to keep someone healthy! Yum! I’ve been looking for a smoothie like this, so thank you! I love the ingredient picture. I’m happy to toast away the summer with smoothies. They’re perfect for this heat and teething toddlers who may or may nor be hangry. She’s totally hangry. Perfect breakfast smoothie. Love these ingredients and what an energy boost! you know it. golden goodness! Ooh, I REALLY want to try this out! I currently don’t have dates, so what would be a good substitution?